Preparations for terrorist attacks have increased in the Straits of Malacca as a result of intelligence suggesting plans for attacks on oil tankers are imminent, according to The Straits Times. 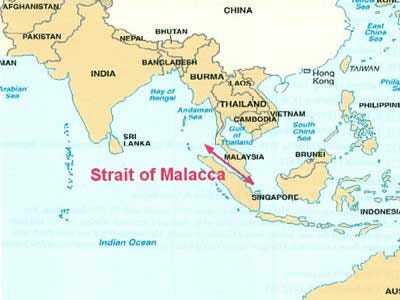 The Straits of Malacca are a key shipping route for goods in Asia, particularly oil, and this latest threat level increase has put Singapore, Malaysia, and Indonesia on a front footing. There is concern that the threat of an attack could have an impact on trade in what is the world’s top container port, Singapore. Is this the new Horn of Africa?